Okay there! In this post, I'd be highlighting to you 5 tips that will help smoothen rough edges in your blogging journey with WordPress. Don't Use WordPress.Com: I wasn't paid to, no I'm not TRG to deface them, but if you have the intention of making the blogging thing a long time thing... For your own good, let WordPress.com be. 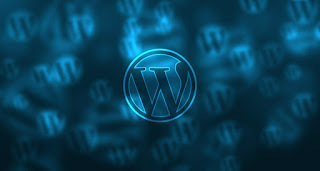 Run your blog on a self-hosted WordPress site and if you ain't got enough capital to do that, consider BLOGGER, you can check up guides under blogger category on this blog. Lost as to why I flagged WordPress.Com unfit??? READ THIS. Always Backup: Believe me you there, nothing hurts worse online that losing good contents that are not backed up. It has happened to me on this blog too, you can not totally trust your host to never have an issue as regards data management, and in the case of that happening, what would you do? Well, you won't have to go finger biting ever if you take heed now. Always back up your data at frequent intervals! You can activate the function just by the installation of a free plugin, a free one as at that, that would always deliver a backup of the blog's data to you at specified intervals in your mailbox. I won't be mentioning a name here but I'll tell you this, just hit your dashboard - Plugins - Add new and give the keyword Backup a search. Install An SEO plugin: Definitely, in highlights, I just can't tell all the beautiful things an SEO plugin can do. Basically, Search Engine Optimization is a beautiful thing that when done right give lasting yield for as long as the link and the content it holds exist, but doing it right is something that's herculean, but with the appropriate plugin, it gets easier like you getting a guide on a journey, in this case, a journey to establishing your online presence in search Engines. I won't tell you a particular one to use, but then the one I use can be unarguably said to be the most popular in the field, and it comes free! Don't Tamper With What You Don't Know! : You likely not a web developer and you had hired someone to build the blog, please for your own good, never get tempted out of curiosity or boredom or whatever it may to go tampering with a function you don't understand, e.g codes (maybe you stumbled on editor...) Even if it's a front end something, so long you are unsure about it, do well to try read about it, if you can't understand it still let it be or hire a developer to get the job done. Some lines of codes, when tampered with, can shut the blog down! Recoverable, yes, but you likely to lose a lot of time to downtime on the site, and even files. Make Friends: I don't mean a number of an indiscriminate peer joining o, but be sure to make friends with those of like mind. Search up a number of bloggers in the same area as you, make friends, you will learn a thing or two! Experience is the best teacher, yes, but learning from others saves time and is better! And there you have it! 5tips for a happy blogging! Do share.